The TCA Office of External Linkages and International Affairs (ELIA) is the institution’s frontline arm in the College’s thrust to expand horizons on partnership development, increase its consortia or organizational memberships, and advance its internationalization and global engagement. 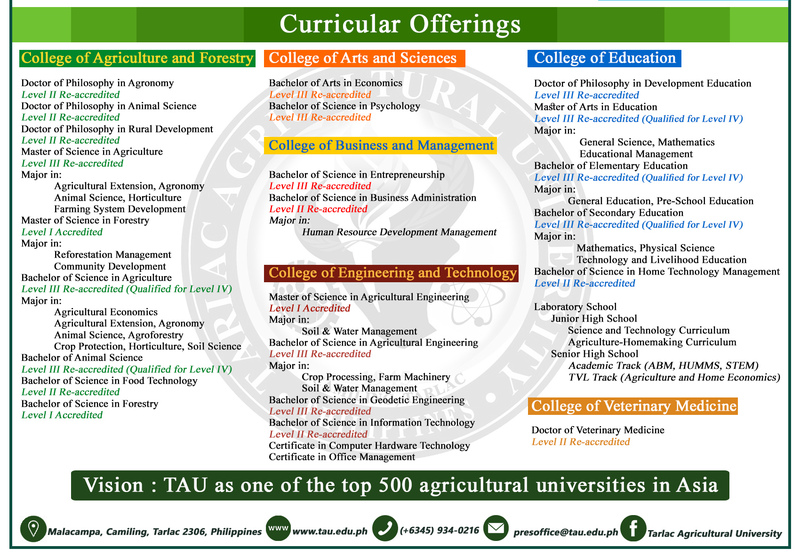 As an administrative office under the Office of the President, it primarily serves as the College’s channel in conceptualizing innovative programs intended to sustain and strengthen its existing linkages and establish a global representative network in carving its name in the international academic map. Driven to instigate the College’s vision to become a recognized higher education institution in the Southeast Asian Region, the ELIA Office aggressively takes imperative initiatives to develop a resilient internationalization engagement, to build relevant opportunities for faculty and students towards cross border mobility and internationalization of higher education, and to redesign the institution’s capability in escalating memberships in alliances and networks. Mandated to incessantly sustain institutional relations and alliance with other educational institutions, relevant government and non-government agencies, industries and other sectors of the society that can assist in accomplishing its task in accordance with the College’s strategic plan, the ELIA Office explores and identify possibilities of linkage development, cooperation and partnership with various sectors, local or international on areas that redound to the realization of its vision and mission. Most significantly, the ELIA Office envisions to serve as a meaningful international resource for the local community by creating awareness on globalization/internationalization, ASEAN integration, culture and language of other countries, by inciting interest and appreciation of the language and culture of other nations, and by developing competent local graduates in addressing the current demands of the world labor market.